Multi colour semi precious stones necklace by jewellery designer Angelo De Soto. 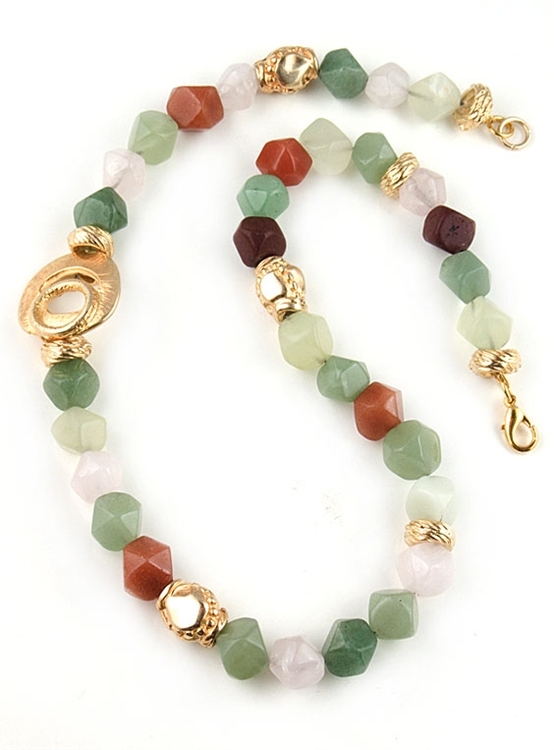 This fabulous designer necklace features a rainbow of colours and semi precious stones, such as rose quartz, aventurine and cornelian, mixed with gold platted beads. A 27x29mm gold circle bead is set on the side. Necklace measures 53cm (21") and fastens with a lobster clasp.